Hi loves! How are you? Getting ready for the weekend? My parents are coming to visit and Sunday we have the birthday of my boyfriend's cousin, she turns 12 in a couple of days. Today I am showing you one of the three KBShimmers I got in a haul a while ago. There are some others I'd love to have but I keep missing out on restocks. Oh well, maybe some day right? 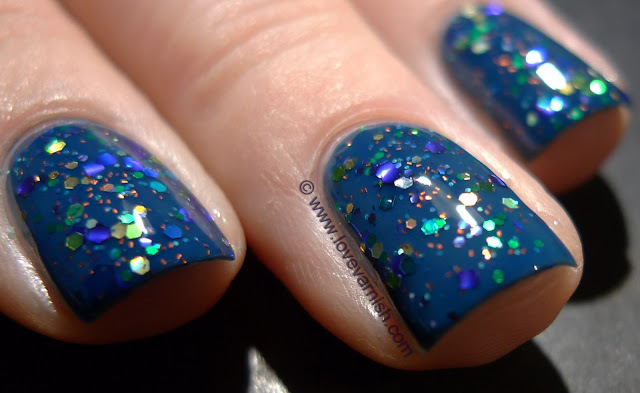 This is Shipwreck and it is STUNNING! It isn't as bright as it shows here, somehow the dusty feeling didn't translate well. I used 2 coats of Shipwreck over Joe Fresh Persian Blue, they made a great match. 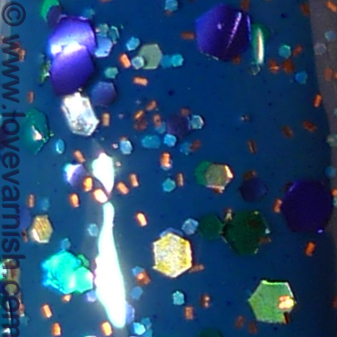 Application was easy, the glitter distribution didn't take much effort though the second coat does grab on to the first and therefore gives a better look. Just 1 wasn't even looking enough for me. I used a coat of Gelous and a coat of Essence BTGTS to let it dry quickly. This wore like a rock for a day and a half, by the end of today I did have some minor tipwear but nothing too bad. 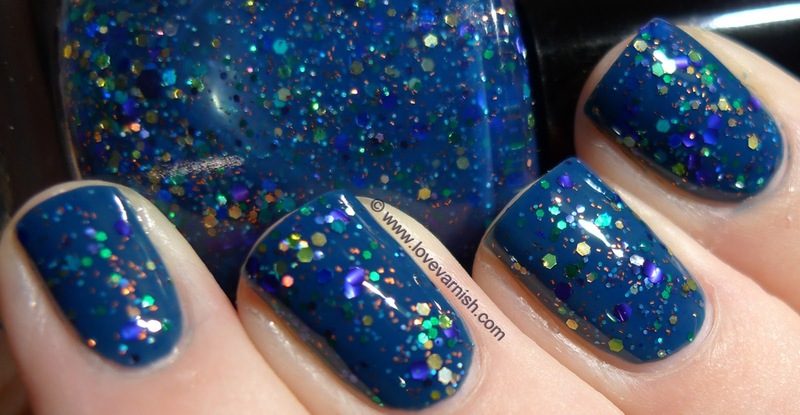 Shipwreck is such a goorgeous polish. Your layering looks great! Aww yissss!! Shipwreck is just <3. Your combo looks gorgeous!